Dreamy and haunting – this looks like some of Liz Mellor’s finest works! canvases and acrylic paint . 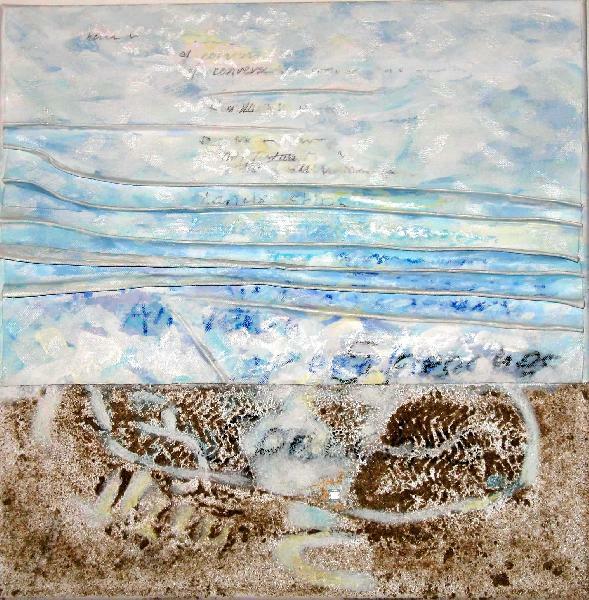 Includes coastal natural materials and the use of words. The library is open every day except Sunday until the 21 Dec and then please check with them opening hours during xmas. 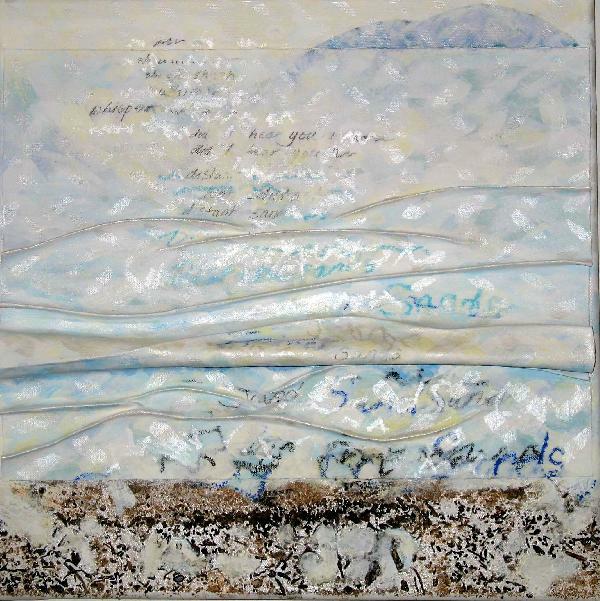 I could look at these for ages.It seems to me that Liz’s art story has been moving towards these for some time now as she experimented with folded canvas, making actual textured waves, adding actual found beach objects and now this combination – and doesn’t it work well? Whenever I see words used in images, like this, I always think of the concrete poetry so popular in the 60s, yet this is a huge step away – is it words describing ideas or ideas illuminating words – either way I like it. 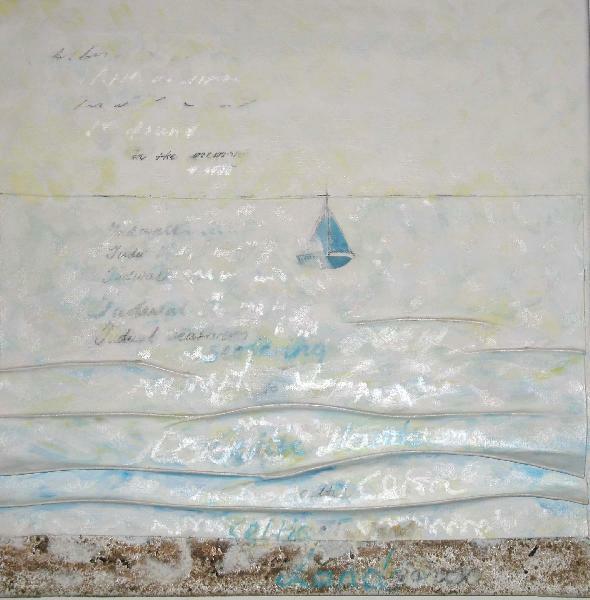 « Some of Chrissie Smith’s amazing glasswork…………….